WOW! I realized I haven't updated here in the last few weeks. Spring Real Estate is in full swing and so many excited families are getting ready to build memories in their new homes. Our home is coming along nicely and we are getting ready to do our Frame Orientation with our Project Manager Randy before the drywall goes up. Our street is starting to look like a neighborhood and we've already met a few neighbors who have kids that are Munch's age! Anyway, this post is not about me. Currently I have 4 new build clients that are just about to break ground. One already started the framing for the foundation! It was a beautiful day so I decided to head out to take progress photos of everyone's dirt before building starts! I stopped in my tracks for a second though to reflect. To some it's just desert dirt, but this dirt symbolizes the place where their kids will grow up, go to school, even take their first steps. These will be the front porches where Mom's take their kids' first Kindergarten photos before sending them off to their first day of school, they will be teaching their kids to drive and send them off to college. Kids will play, get dirty, and maybe even fight. Their holiday light game will be strong and Halloween will be a blast for years to come. I know for sure we will be having some MOMnationAZ block parties so hopefully the neighbors are cool with that! If not, I can help them sell their home so we can find some cool neighbors, HAHA! The best is yet to come guys! June 1st we are doing a new build tour to compare standard vs upgraded items. We will be visiting two builders. One builder includes higher end items standard whereas the other does not. We will compare and have a blast! Keep an eye on our MOMnationAZ Calendar of Events for times and details! Have a great week guys! I'll be out there grinding to bring you the best and most updated New Build info! Posted on May 22, 2017 by Katie Lambert. We had our pre-construction meeting a few weeks ago! This is where you meet your Project Manager or Superintendent as they call them sometimes. The purpose of that meeting is to learn the expectations of the build process and meet the person who will be overseeing everything. We went over our design selections to verify they had everything we had chosen. He let us know that the tension cables were in and the slab was going in in a few days! Luckily we went over there to see it because just a few days later we were SHOCKED to already see the frame up. It was really surreal, Chris kept looking back as we were driving like "NO WAY, Is that our frame!?" Sure enough, there it was! At that point was where it started to feel real. Our neighbors homes are starting to sprout up as well. We've already met one of our new neighbors through the neighbors Facebook page who has girls around Munch's age. It really solidified our decision to choose this neighborhood. There is such a sense of community. I'm so excited to do the FREE bootcamp in the park 3 days a week and FREE water aerobics 2 nights a week. Our section is selling out pretty fast as people are seeing the value in such an amazing neighborhood. Next step will be our pre-drywall inspection where we verify all the electrical is in the right places and check it out before they cover up all that wood frame! If you're interested in learning about new builds, let me be your guide! It is in your best interest to be represented by a Realtor in a new build transaction. It does not cost you any money for me to help you, but can save you tons of money! I have some inside information on the new amazing neighborhoods that are popping up, feel free to reach out! Posted on April 25, 2017 by Katie Lambert. Interest rates...you always hear about them. I don't know about you, but worrying about my interest rate makes me more stressed on top of looking for the home of my dreams. Interest Rates are a necessary evil. I mean, why can't they just lend us the money for free? Haha, I wish! The rumor is that the Fed will be hiking interest rates up 3 times this year, which could mean your purchasing power will go way down. We don't know if it will really happen, but the economy is getting stronger, which usually means rates go up. For example, I had a client purchase last year at a 3.5% interest rate. Now, we are projected at 4.5% for our new home that will close toward the end of the year. That doesn't seem like much, but when I saw this graphic it really opened my eyes. Prices and rates are most likely heading upward. Last year we could have purchased a $350,000 home vs. this year where we could purchase up to $310,296. In our hot Phoenix market, that is a big difference in home size and features. It could even be the difference in moving to your preferred area with the higher rated schools and getting that gorgeous backyard oasis you've been dreaming of. This is definitely something to think about! Do you want to pay the same amount for a smaller home? I don't! Posted on April 13, 2017 by Katie Lambert. Mortgages Aint Magic, Get the Real Deal Here! Are you afraid to chat with a Mortgage Lender because of fear of being let down? Think your questions are stupid? Well, they are NOT! We went live on Facebook with one of the TOP rated Mortgage Lenders in Arizona and he was happy to answer the questions you’ve been dying to ask. He doesn’t bite, promise! Check out how you can buy with ZERO down! YES, it still exists! Isn't that an awesome thumbnail screen?! If you would like to have a quick chat with Ryan to get yourself on the right path to home ownership you can check out his page, Finance Questions, on our website or email me at Jennifer@EvoAZ.com. Posted on April 10, 2017 by Katie Lambert. So I was just prepping with our home builder to do our pre-construction meeting. I decided to go on to their website and see if we had any neighbors yet. We do, SO Exciting. I hope they are cool. I took a glimpse at the pricing and it has gone up $7,000 in two months!! WOW! I can't believe we already have equity and we haven't even moved in yet. This is a great indicator that the market is thriving here in the Valley. The South East Valley is seeing a lot of appreciation because many of the huge companies like Intel and Apple are bringing so many jobs. It's amazing to see! If you're thinking of a new build, contact me! I can help you at no cost to you. I know the in's and out's of new builds and can give you extra guidance and representation of your best interests. Don't hesitate to reach out ever!! My job is to educate whether you are ready now or a year from now. Posted on April 5, 2017 by Katie Lambert. Kitchens and Bathrooms and Flooring...Oh My! Yesterday was our design center appointment. The one where you walk through the beautiful showroom and drool over everything you think you can't have. We were so excited, yet nervous. You hear horror stories of going to the design center and going WAY over budget so that fear takes over! We were also super excited to be able to pick all of our colors for our very own house..the place where Munch will grow up, go to school, play with her friends, and have sleepover parties! The appointment started out choosing electrical options. We were pretty discouraged at first because they kept naming off options of things we didn't even think about, but needed. It seemed to eat up our budget real quick. I was thinking "wouldn't it be better to put this at the end so you can choose your pretty stuff first!??" But then there probably wouldn't be any money left! Once we started getting into the kitchen and bathroom options it got more fun! We thought we had it all figured out until we started debating over granite styles, whether to do granite throughout the bathrooms too and what floors to choose. Did you know there are SEVERAL styles of wood plank tile and TONS of grout choices?! It's like going to the eye doctor and they are like "Camera one? Camera two?" We ended up with some options that REALLY worked with our style. At the end though, we did have to sit down and decide on wants vs. needs since we did end up over our budget. We ended up choosing a beautiful backsplash and blinds over upgrading all the bathroom fixtures throughout since you can change that out yourself later easily. Here are our final choices! We also did one of those awesome black granite composite sinks. I can't WAIT to see it all together! It's important when choosing home options to think about what is easy to change out later and what will be the best investment. In my experience... Kitchen's, Bathrooms, and Flooring sell homes. Fixtures can be easily changed out after closing and purchased at a lower price than the builder offers. For example, we priced sink faucets at Lowe's the day before our appointment. The same faucet was $200 at Lowes vs. $500 through the builder. You also have to think about whether you want to finance an option for 30 years or just pay for it up front and do it yourself after you close. If you're looking to do a new build yourself and would like FREE representation from me, the #NewBuildNinja, contact me at Jennifer@evoaz.com! We'll also hook you up with this sweet deal we have going on now if you close on a New Build with our team! Stay tuned...next up is our Pre-Construction meeting! Getting close to breaking ground! So here we were... all ready to sign the contract for our new build home. Then, I went to browse models for our popular MOMnationAZ Home Tour. I was stopped dead in my tracks. Like IN LOVE with one of the plans on our Mom group home tour list. Then it hit me, there are BIG life decisions at stake! I called Chris after and said "Babe, you're probably going to kill me, but...there's another house!" We went back later and Chris said "There's no dilemma, I think we found our house!" This ended up setting off a few days of back and forth, pro's and con's of both houses, comparing price points, payments, etc. Finally....we decided on the new love and signed the contract a few days ago! I felt like we were cheating on the first house, but both had their pro's and con's. It's so emotional to think that this is where Munch will grow up, make friends and go to school. We couldn't be more excited! Our lot is off to the left with a nice park across the street! This section will be all single story homes. One of the biggest pieces of advice I can give someone looking into a new build is to make sure you know what happens to your earnest money deposit if things change. Luckily, in our case, the lot hold deposit was fully refundable and we were able to switch easily. Also, find out how much the deposit is and when they require it in the process. I'm working on an awesome cheat sheet for new builds of things to ask that you probably haven't even thought of. You won't want to go visit models without it. Email me at Jennifer@EvoAZ.com to get your cheat sheet! We are super excited to get the process rolling and check out the design center in a few weeks. It's like being a kid in a candy store going to pick out all the pretty options! I will post up some color schemes soon and you all can help us decide! Thinking of doing a New Build? Check out the newest blog on MOMnationAZ.com about the pro's and con's of buying a resale vs. a new build! Posted on February 16, 2017 by Katie Lambert. Eggs in the New Kitchen! We went to check out the progress on the models yesterday. It was so much fun to see the progress and they are looking like actual homes now. It's so cool to see a neighborhood from the very start. We stopped by our lot for a photo op and Munch made us some eggs in the new kitchen (for pretend of course)! Then she went to hang in the neighbors house for a bit! HAHA. I don't know how they will feel in 9 months about her just walking right in. Hopefully they will be cool! After a birthday party this weekend we stopped by our same builder to check out what the standard features look like and OMG. We're so excited not to have to spend an arm and a leg on upgrades on top of the base price. And that blue door!!! So excited! We should be signing the new build purchase contract in about a week! I will update with how that goes. A lot of people sign on new builds with no agent to represent them. Think about it though. The sales person there works for the builder and is looking out for their interests. It's a really good idea to have someone who knows the contract and can negotiate and advocate for you on your side! Posted on January 23, 2017 by Katie Lambert. MOMnationAZ had a fabulous day touring gorgeous model homes to get some DIY ideas for their homes! These are just a few of our favorite features. The kitchen sink is now often an architectural focal point. Today, concrete, stone and especially copper options are available, as upscale interpretations of the classic porcelain or fireclay model, adding a variety to enliven and differentiate today’s kitchen. The traditional farmhouse sink is generally a lot deeper than modern stainless steel under mount or top-mount sinks. More useful for washing large pots, big baking sheets and oven trays, and even barbecue grills — items you would generally struggle to wash in a typical sink. Apron sinks can be purchased as low as $250!! Backsplashes have double roles, practical reasons being splashes, spills, and cooking related incidents. It also allows to get creative with fun designs and colors. When designing a more neutral kitchen the backsplash becomes a focal feature for the entire room. A geometric design generally keeps the simplicity while adding to the kitchen. Also note that backsplashes don’t necessarily have to stick out or be bold, they can blend with the feel of the kitchen bringing texture to it like Subway tiles for example. These can also be used in a powder room floor, which is cool too! Wood is fairly cheap and easy to install if you have a great handy man! http://www.stikwood.com is an amazing website with stick adhesive for textured walls! There is also glass cloth, burlap cloth and then there is air stone. According to AirStone the only tools you’ll need are a hacksaw for cutting and a putty knife for smearing the adhesive. It takes about ten boxes and three tubs of adhesive to complete a wall, which is 11.5 ft wide and 8 feet tall. Estimated at about $650 to do a whole wall. Also, AirStone is only sold at Lowes. There are many shades of grey (possibly even 50)! You can go super contemporary with lighter greys and also go dark grey to compliment a more rustic traditional feel in a home. Because it’s a big decision, people are also opting for white AND grey cabinets or just doing an island. ere is an amazing DIY gray cabinet transformation that one of our Mama's in our group did! How do you truly get a perfect finish? The key to getting a smooth finish was thin coats of paint to avoid drips/streaks, and lightly sanding in between coats with a super fine grit sandpaper (most are even marked as “in between coats” in the hardware store). It requires patience, which runs in short supply around here, but the end result is worth it. Gray cabinets also show less fingerprints from little ones! MOM WIN! Spaciousness! All of that area around and beneath the tub makes the room look airy and larger than it is. Adding a tub with a claw foot is nostalgic. It can give a fun dash of vintage style to this bathroom. There are endless shapes and sizes and designs unlike your standard bathtub. Use trim to create your own wainscoting yourself! Check out this DIY! Tall baseboards can add a subtle, but huge impression when sprucing up your home! This link shows you how to make your current baseboards taller on a budget! We can't wait for the next Home Design Caravan! Check out MOMnationAZ.com for a list of upcoming events! Posted on January 17, 2017 by Katie Lambert. Lot 221...wait, I mean 217!! So we bought some dirt...Just kidding! Lot 217 on 1/7/17. It was fate! We are so excited for our decision to build a brand new home where Alex "Munch" will grow up and make lasting memories! It all started when I attended a Realtor preview event to view this awesome concept of homes where they all face the big grassy areas. The thought of Munch being able to play out front and not in the street piqued my interest. I HAD to check them out. When they told me there was a FOUR car garage option at an affordable price point, I said sign me up!! I didn't realize until they released pricing just how amazingly affordable this was. As we waited for the builder to release their first set of lots, we pondered over the floor plans for what seemed like FOREVER! The night before we went to put down a lot reservation we debated on 3 different plans and then finally decided on a totally different one. Then, you won't believe this, we changed our minds AGAIN! Thank goodness for being a Realtor myself because I would be lost otherwise...So we started with Lot 221 and then had a genius idea to switch to a corner lot and a 3 car garage. <3! So 217 it was! Munch has already claimed it as HER house and is super excited to be sandwiched between both awesome parks! The model homes should be done soon so we can't wait to see the vision come to life!! Stay tuned to the next phase in our process. Until then, I need to know. Who prefers the Spanish style and who likes the Craftsman because WE CAN'T decide!! Posted on January 13, 2017 by Katie Lambert. You always hear Lender's and Realtor's warning everyone about rates going up, but have never taken them seriously. It's always "Yea yea..you say that, but it's not actually going to happen!" Well the time looks to be here finally! The Fed is expected to make THREE rate increases just this year. With Arizona's Real Estate market expected to jump 6% this year, it might be a good idea to start looking into ditching your landlord and building your family's legacy! There are grant programs right now that will give you $20,000 (NON-REPAYABLE) toward your downpayment leaving you with instant equity and 0 down to buy. Posted on January 12, 2017 by Katie Lambert. To Buy or To Rent? Holiday Edition! You hear everyone saying it's cheaper to buy verses rent all the time, but it's hard to believe until you actually calculate it out. These two condo's are the EXACT same models! The monthly payment estimate even INCLUDES your HOA dues! Crazy huh!? You could be taking that extra $139 per month and investing into your retirement account to create a nice nest egg for your future! Definitely something to think about! Posted on December 13, 2016 by Katie Lambert. Priced Reduced During The Holidays! Check this out! Price reduced all the way down! Everyone is focused on the Holidays and you could be out there getting a great deal on your new home. We saw on the news that the Phoenix market home values are expected to rise almost 6% next year. Lock in your dream home now and build some equity of your own! Home Ownership is the gift that keeps on giving! Posted on December 5, 2016 by Katie Lambert. Reclaimed wood walls are hot and can create the perfect accent wall! Mason jars are one of the best storage options around! 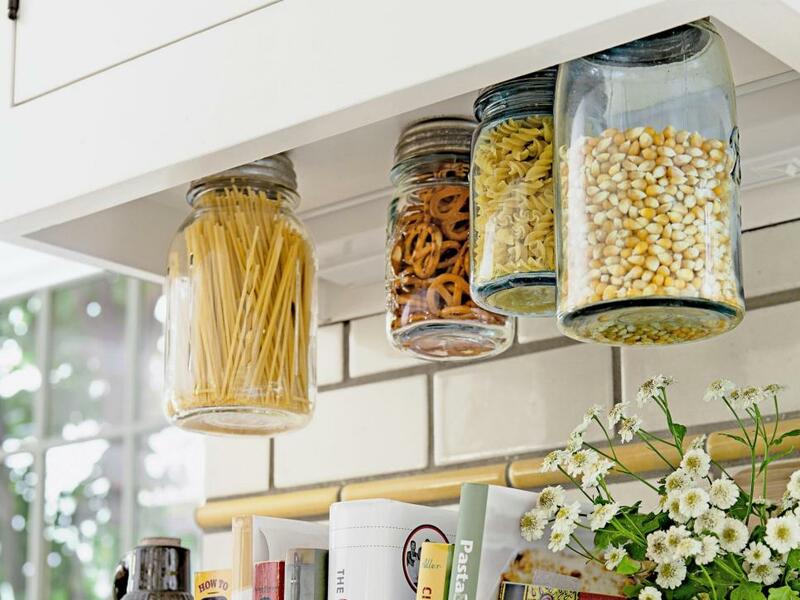 Turn them into a space-saving solution as well by attaching the lids to the underside of kitchen cabinets, filling the jars with dry goods, then screwing the jar onto the lid. Wood pallets are one of those rare, readily available and free (seriously, what's not to like about free?!) castoffs that can be up cycled into so many useful items. The right fixture puts the finishing touch on any room and is the cherry on top of an awesome room! To really kick up the drama and highlight a dramatic fixture check out the different styles of light fixtures. The wooden pallets can be transformed in so many interesting projects. If you are a coffee lover, then you can try to make this coffee cup holder and display your favorite cups. Barn Doors are all the rage! You’ll love this rustic touch! This custom pallet art will surely stand out in your home! Use bright colors to create a cluster of jars, accented with candles and pebbles. Give your patio a makeover with these fantastic ideas! String lights add a beautiful ambiance to enjoy company by the fire. Posted on November 15, 2016 by Katie Lambert and tagged BuildYourFuture CanWeBuy DreamHome Equity ExploreAZ FindOut FirstHomeTogether FirstTimeBuyer ForRent ForSale GetEducated Grants HGTV HomeIn5 InteriorDesign JensCorner MakeMoney Mortgage Move MyArizona MyAZ OurFirstHome OwningAHome PhoenixRealEstate RealEstate RealEstateNinjas RentVsOwn SaveMoney SavingForAHome SavingForAHouse TaxDeductable TeamEvoAZ WhyWait. It’s very important to make your home compelling to buyers. If you’re looking for a quick sale, price your home just a hair under market value. The longer a home is on the market, the least likely the seller is going to get fair market value for their home. Sellers should spend at least 2 weeks getting the home ready by de-cluttering, making small repairs, and getting the home photo ready. Make sure to deep clean from top to bottom and hide all personal items in the bathrooms, including trashcans. When selling your home, it should always be showcase ready! Homes that are messy, beds un-made, and family photos all over the walls make it hard for buyers to visualize themselves living there. One of the most important things when selling your home is to de-personalize. This also goes with number 2 and 3 in our list. It’s a great idea to get rid of a third of your “stuff” and/or put it in storage. A few things to consider are family photos, personal keepsakes and memorabilia. Quick fixes always pay off, but huge makeovers may not get you the return that you think. Instead, do the upgrades like a fresh coat of paint, replace door handles and cabinet hardware, make sure closet doors are on track, and your grout is clean. Storage space is one of the top requests from buyers that we work with. Take half of your stuff out of the closets to create a larger look! First impressions are everything! Buyers judge your home on their first impression before they even walk through the door! Some exterior ideas are buying some inexpensive shrubs and colorful flowers and keeping your entry area clear of clutter. A good listing agent’s expertise will certainly be worth it and they may even make you more money on the transaction even with their commission. The wrong listing agent can cripple a deal. Make sure they are an area expert and ask them about how they will market your home. You are not selling your home; you are selling your kitchen! The fastest and most inexpensive updates to your kitchen include painting the walls, cabinets and installing new cabinet hardware. Unlike other cities in around the country, it’s always a good time to list a home in Arizona because of the superb weather year round. Many sellers think that only Spring/Summer is best for listing their home and miss out on potential opportunities by waiting. One of the best tips we can give to anyone who’s buying a house for the first time is to get educated on the steps to buying a home. Too many first-time homebuyers are jumping into the housing market before knowing what they are getting into. Team Evolution has a full-time Client Education Specialist ready to teach you the whole process so you’re educated before going out to view homes! As a homebuyer, it’s important you assemble the perfect group consisting of the right real estate team, mortgage lender, and home inspector. A single agent that has to wear many hats can’t possibly deliver the highest quality service to their clients when trying to multi-task. A well-rounded team is specialized in their specific roles to give you the best experience possible! One of the worst mistakes a homebuyer can make is overextending your budget. It’s a great idea to buy a home where the payments are low enough so you can build up a 3-6 month savings for emergencies. One thing that buyers should try not to settle on is location. You may get the home you want, but be completely unhappy with where you live. Consider things like schools, crime rates, and commute times when determining what location you’d like to live in. It’s extremely important to talk with a trusted lender before going out to view homes. They will assess your credit and give you a target price range. The worst thing you can do to yourself is view a home you love before getting pre-approved and then find out it’s not available when you are finally ready! When buying a home, it’s not a good idea to make any major purchases such as the brand new car you’d love to see in your new garage! If you add new debt that affects your debt to income ratio, it may hurt your home qualification. It’s always a better idea to wait until after your new home closes to go shopping. Lowball offers run the risk of being rejected or lengthening the process and annoying the sellers. It’s always a good idea to look at the last 90 days of comparable sales to get a target range of what is a realistic offer. Many homebuyers will drive themselves up the wall trying to always find a “better deal”. The market is always changing, but it’s tough to predict what will happen. If you continue to hold out for the next best deal you will never find what you’re looking for and never be happy. Lenders like to see a consistent job history. They aren’t usually as nervous if you change jobs within the same field, but it’s better to stay put until the new home is yours and then pursue job options! Many buyers get in their minds that it’s best to view every home on the market in their price range. Seeing too many homes in one day will exhaust and frustrate you and the homes will all run together. A healthy number is 3-5 homes to view in a day. Be sure to take some pictures of your own and make notes! Posted on November 15, 2016 by Katie Lambert and tagged BuildYourFuture CanWeBuy DreamHome Equity ExploreAZ FindOut FirstHomeTogether FirstTimeBuyer ForRent ForSale GetEducated Grants HGTV HomeIn5 InteriorDesign JensCorner MakeMoney Mortgage Move MyArizona MyAZ OurFirstHome OwningAHome PhoenixRealEstate RealEstate RentVsOwn SaveMoney SavingForAHome SavingForAHouse TaxDeductable TeamEvoAZ WhyWait. Posted on November 15, 2016 by Katie Lambert and tagged CanWeBuy DreamHome Equity ExploreAZ FindOut FirstHomeTogether FirstTimeBuyer ForRent ForSale GetEducated Grants HGTV HomeIn5 InteriorDesign JensCorner MakeMoney Mortgage Move MyArizona MyAZ OurFirstHome OwningAHome PhoenixRealEstate RealEstate RealEstateNinjas RentVsOwn SaveMoney SavingForAHome SavingForAHouse TaxDeductable TeamEvoAZ WhyWait BuildYourFuture.